Towson Lacrosse has released a special helmet for the team to wear on April 7th for their Pediatric Cancer Awareness game. The chrome lids will be sold after the game and all proceeds will benefit the Cool Kids Campaign, an organization in Towson, Maryland that is devoted to improving the quality of life for pediatric oncology patients and their families by focusing on the academic, social and emotional needs brought on by a cancer diagnosis. 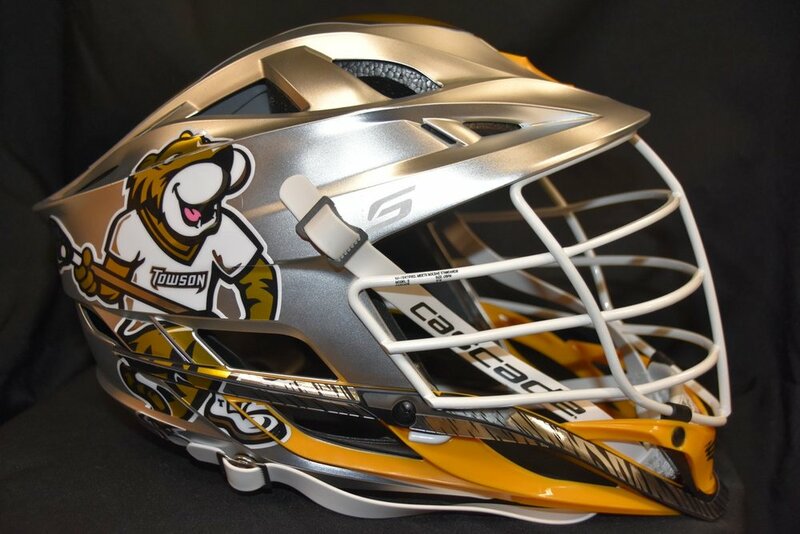 The helmet was designed by the teams very own assistant coach, Dan Cocchi, and shows off the cartoon version of Towson's mascot, Doc the Tiger. The Cool Kids Campaign logo is featured on the back, while the slogan "Cancer Fears Me" in found on the chinstrap.